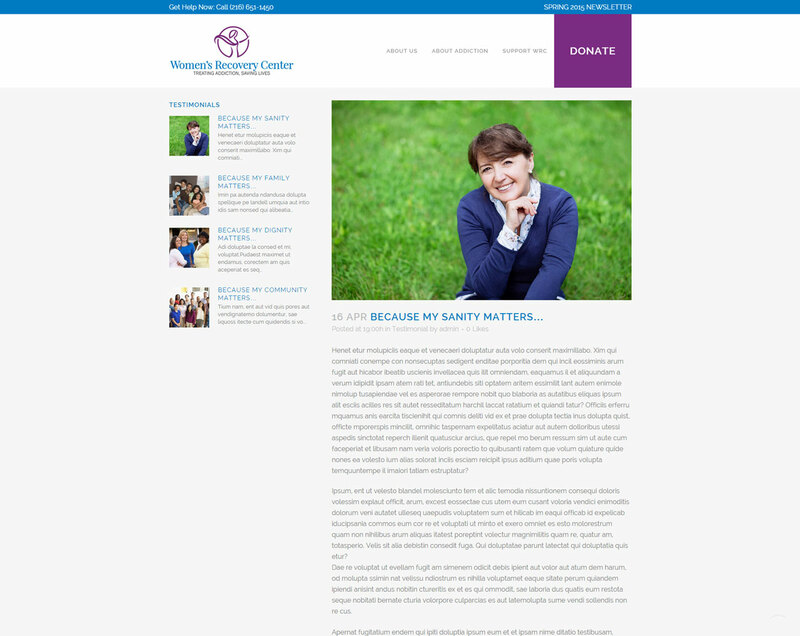 The Women’s Recovery Center provides comprehensive addiction treatment, prevention and education programs that are client-centered, family-based and recovery-focused. 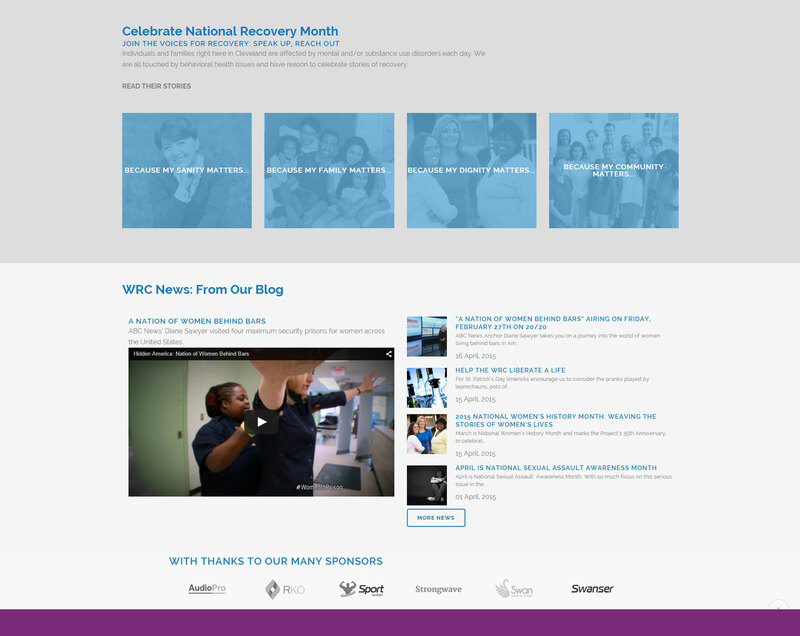 Rebrand, reposition and re-imagine the WRC's logo and website to help boost their message and online giving. The design team incorporated existing colors into the new design to help WRC supporters maintain their connection to the organization. The logo was refreshed to strengthen their brand positioning while imagery was bolstered to make the site more visually appealing. 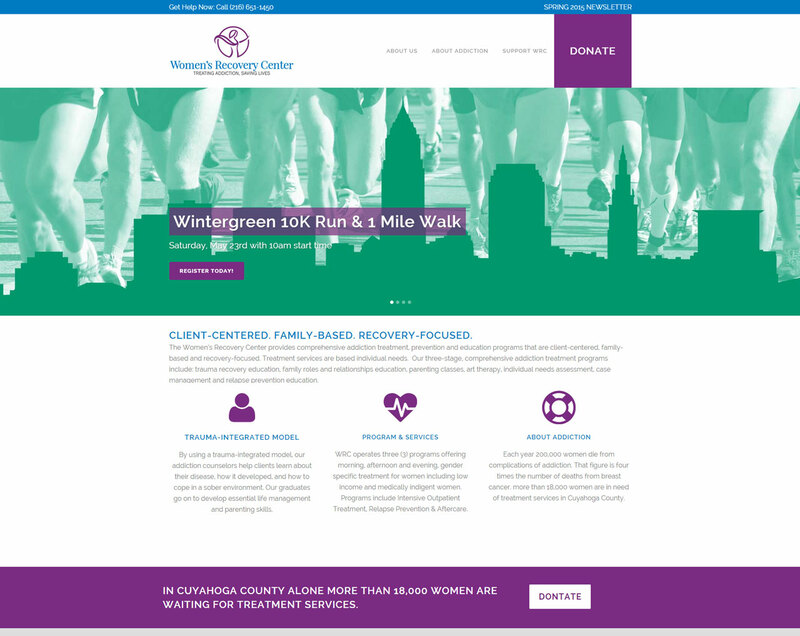 The design team made donation, newsletter and contact options more prevalent and persistent to give visitors every opportunity to get involved on a variety of levels. Pages were reworked to improve content flow. We trust SRHGrafx to help our clients consistently reach their key audiences in an ever evolving world of new technology and communications vehicles. From non-profits looking to reach funders and clients to candidates hoping to court voters to municipalities looking to keep their constituents informed on public affairs to businesses looking to connect with customers, SRHGrafx has done it all.